The deep freeze has brought Chicagoland area to a near standstill, closing schools and businesses, suspending mail delivery, halting trains. Wednesday brought subzero, record-breaking, dangerously cold temperatures to the area, which are expected to continue until Thursday evening. Wednesday night could drop to -27, which would tie the all-time coldest temperature recorded in the city. The safest way to protect yourself is stay inside. If you must venture out here are some tips, when you're exposed to the cold, the first line of defense is to wear loose-fitting and dry clothing (wet clothing makes it difficult to maintain a normal body temperature). Dress in layers. If you work in the cold, or exercise outside, wear clothing made of polypropylene, which will wick perspiration away from the skin and keep your body dry. Also, wear a hat and scarf. It's true that 40 to 50 percent of our body heat can be lost from the surface of the head and neck. And no, it doesn't matter if you have a thick head of hair. You still need protection. How do firefighters deal with the extreme subzero temperatures? Subzero temperatures brings a unique set of risks and challenges for firefighters which can be extreme dangerous. Serious fires are more likely to occur during periods of severe cold often resulting from the continual use of heating systems as well as temporary and innovative heat sources. The colder it gets the greater the probability that it will become a long-duration exterior defensive operation. The impact on firefighter health and safety increases when temperatures dip well below freezing the problems and risk factors faced on the fire ground increase exponentially. 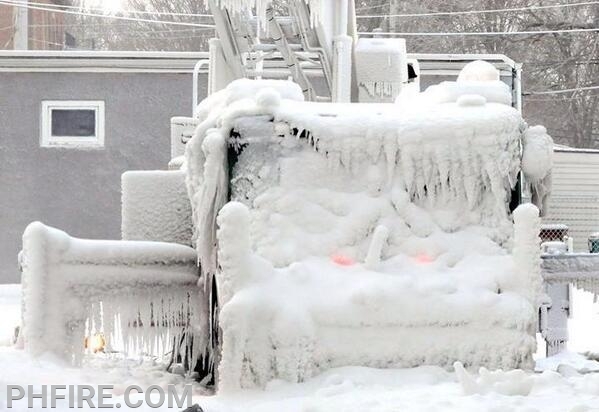 Severe cold creates extreme challenges for both firefighters and their equipment. The risk of hypothermia is an obvious concern particularly when operations must be conducted outdoors. The personal protective equipment (PPE) approved for structural firefighting is designed to protect the user from the heat of a fire. 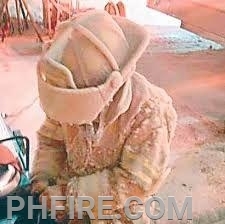 In theory the insulating layers incorporated into structural firefighting ensembles should be equally effective at keeping the user warm in a cold environment; however PPE provides only limited insulation from severe cold. In many cases firefighters need protection from both heat and cold at the same incident although generally not at the same time. They’re exposed to the cold while responding and setting up then they may encounter extreme heat while conducting an interior fire attack. And then they have to deal with the cold again when they leave the fire environment for rehab. Multiple cycles of hot and cold present a serious challenge to firefighters and their equipment. A firefighter who must go back into the fire environment after rehab and air cylinder replacement is likely to encounter SCBA problems as well as rapid fatigue. To help reduce the use of alternative heating methods and to help residents the state will offer warming centers. They are available in state facilities across Illinois to help Illinois residents reduce their home heating costs. These facilities are a safe, warm place to go during the day while you turn your thermostat down (do not lower your thermostat below 60 degrees). To complement the state effort, mayors statewide have been asked to provide local warming centers in their communities. For a list of available warming centers click on the link.